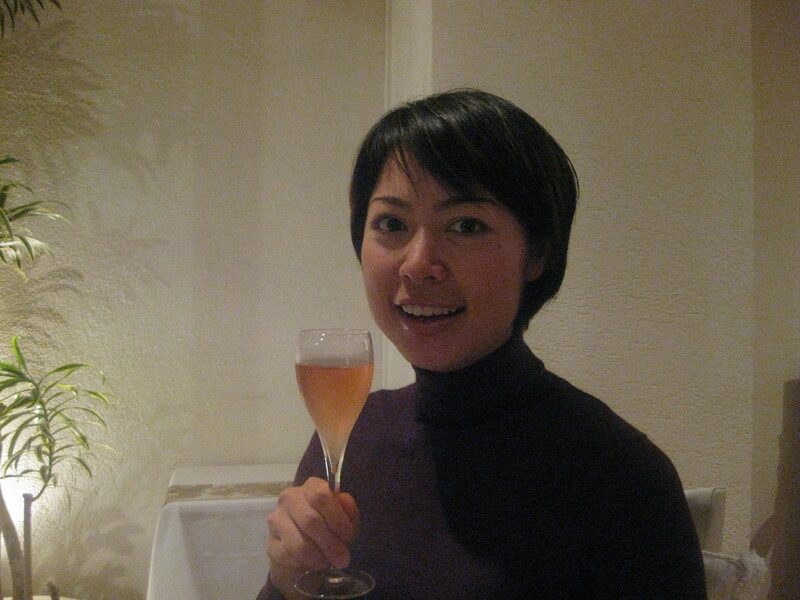 November 27, 2009: Toko Travel Day #3 – No Pepsi Cucumber, Coke! 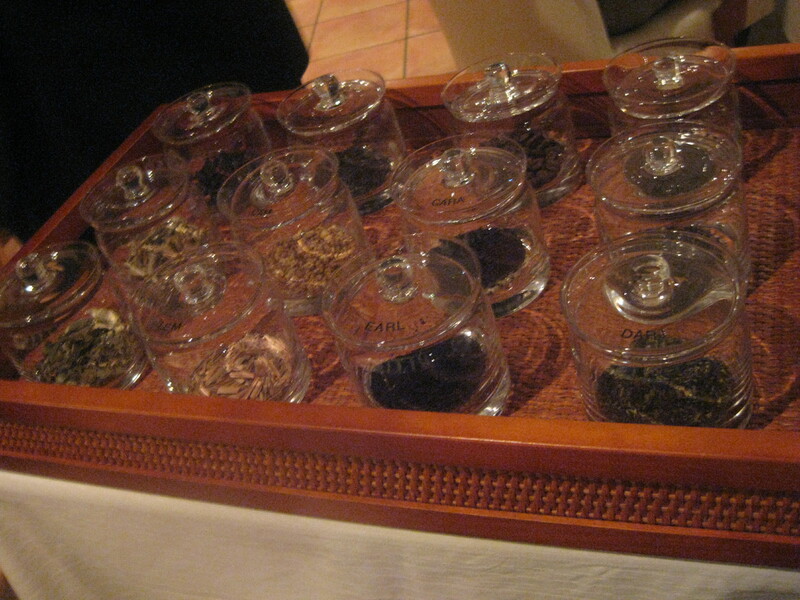 Aroma Fresca! A Sneak Peek at Tomorrow’s Gear-eat Entry! R Burger. 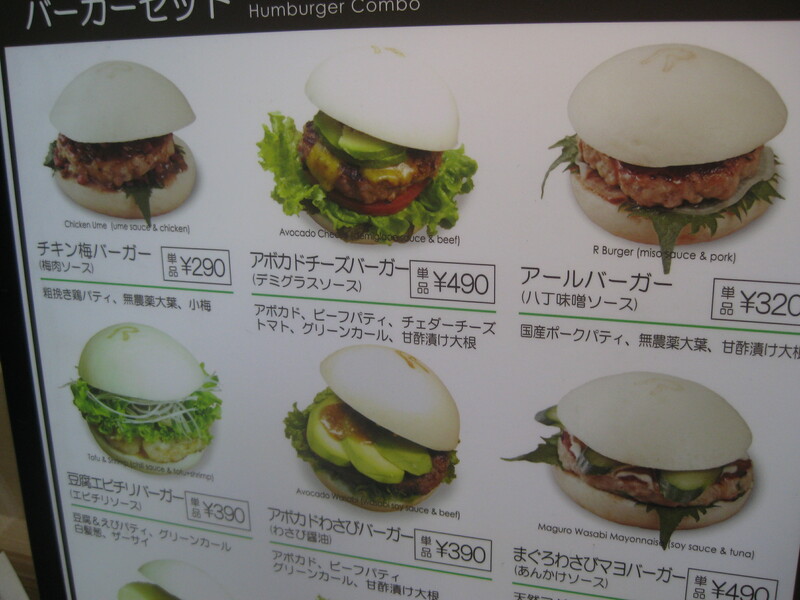 My eyes were immediately drawn to the unaturally whiter than white the buns. WTF? According to Sachi, those pasty-whites are chock full of collagen and all sorts of goodlies. Yum. Mmmm...pizza? 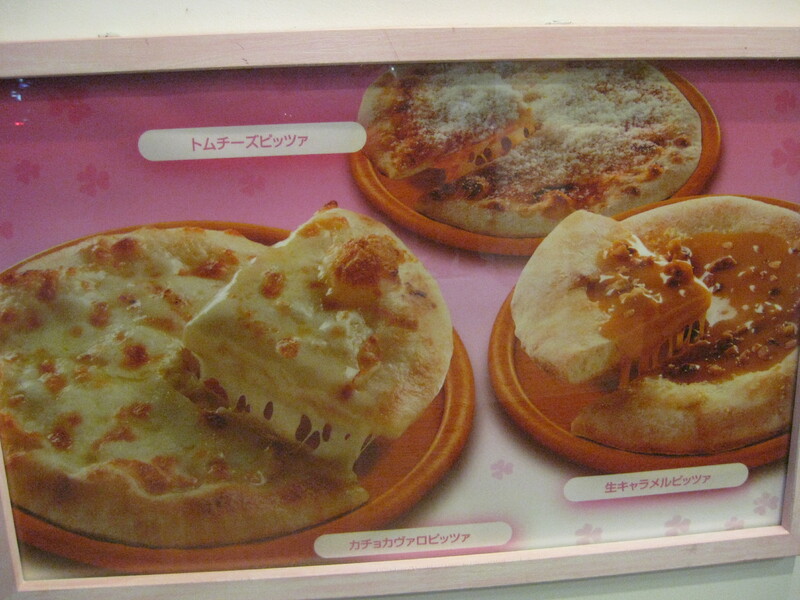 Yep, all of your favorites are here: cheese, margerita, and, over on the right, caramel. 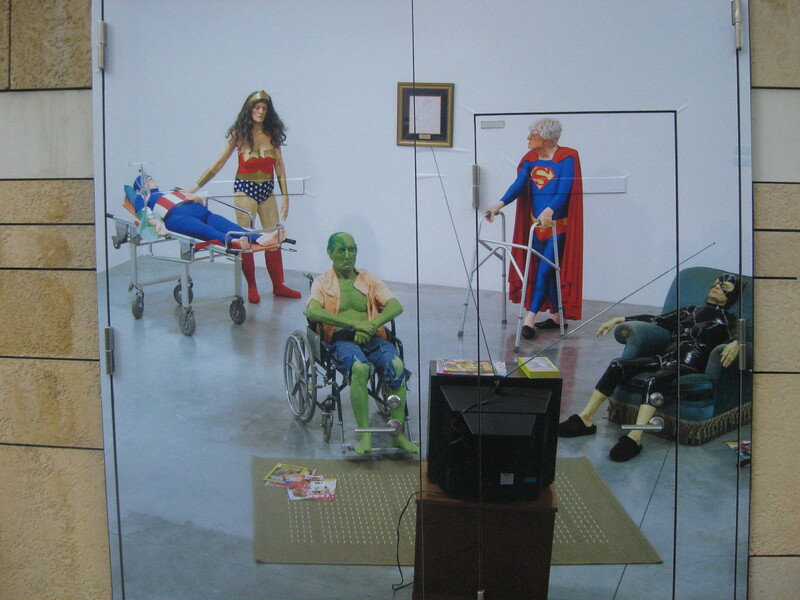 Anyway, where did I leave off yesterday…oh, yeah, 5:00 p.m. and ready for bed. See, the problem is by the time I update my blog, it’s around midnight and, as much as I want to sleep in past eight a.m., my body simply won’t allow it. Well, it can be stubborn. But so can I! Let’s see who gives in first! It's a second floor restaurant, Miami white with lots of glass, windows looking out onto a garden on one side and the street below. A clean but very relaxed atmosphere. Kay raises a glass to mountain biking and Italian food. 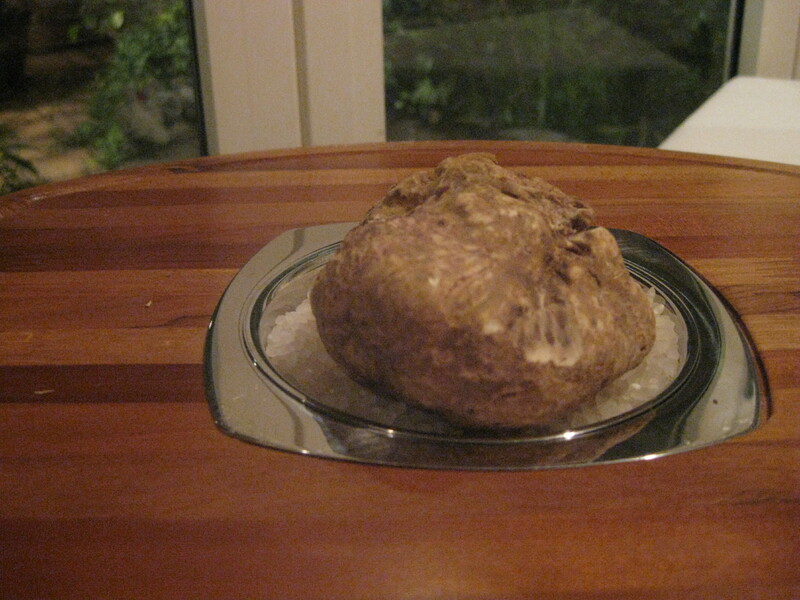 Look at the size of this truffle! You could play baseball with it - AND eat the pop fly. 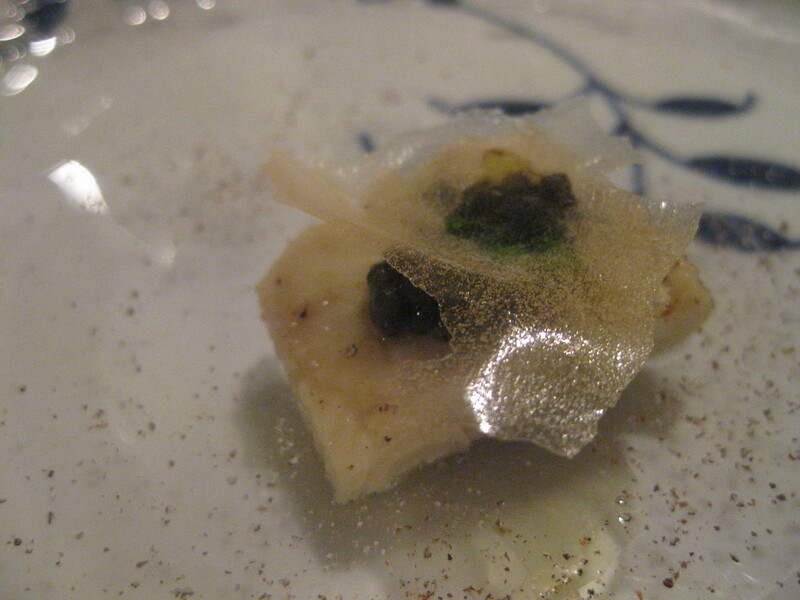 We started with a lovely little amuse - eel topped with caviar topped with a crisped apple puree. 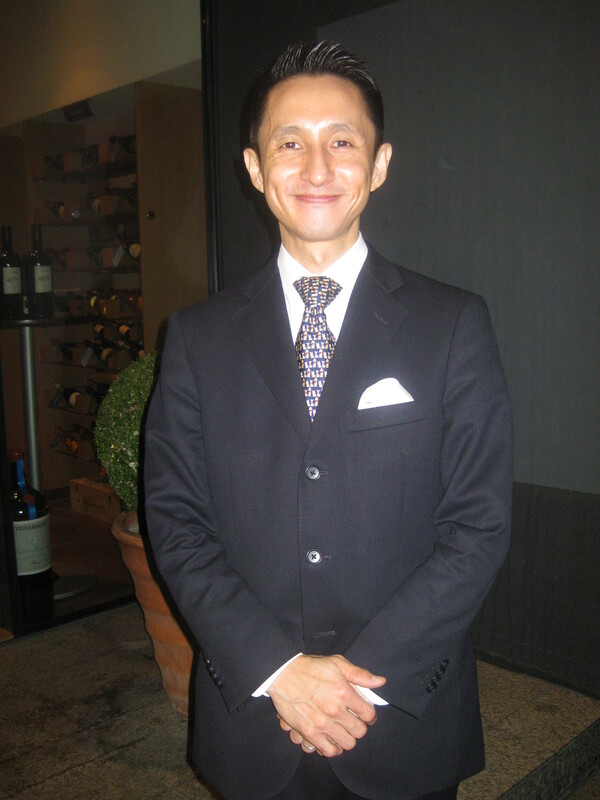 Our man Junji offers to take our picutre. I continue my streak of consecutive photos ruined. 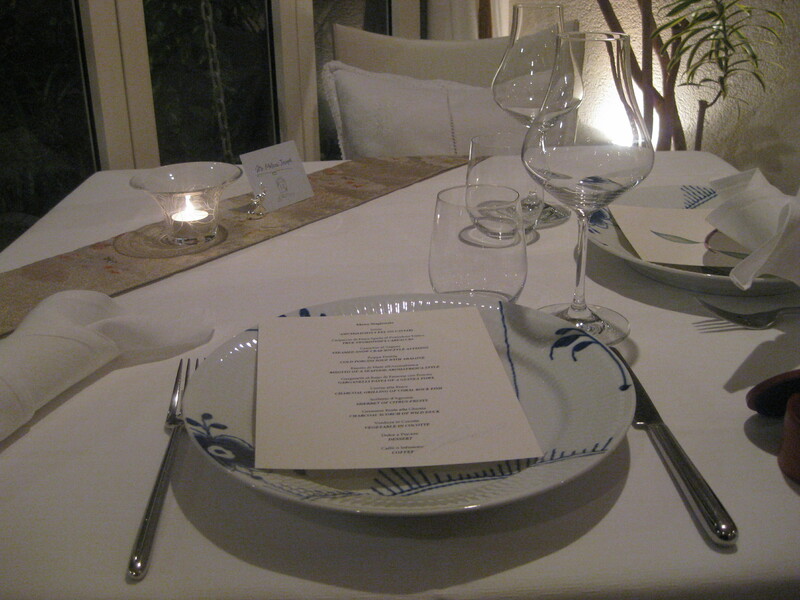 Our next dish was a terrific swordfish carpaccio with fresh tomato. 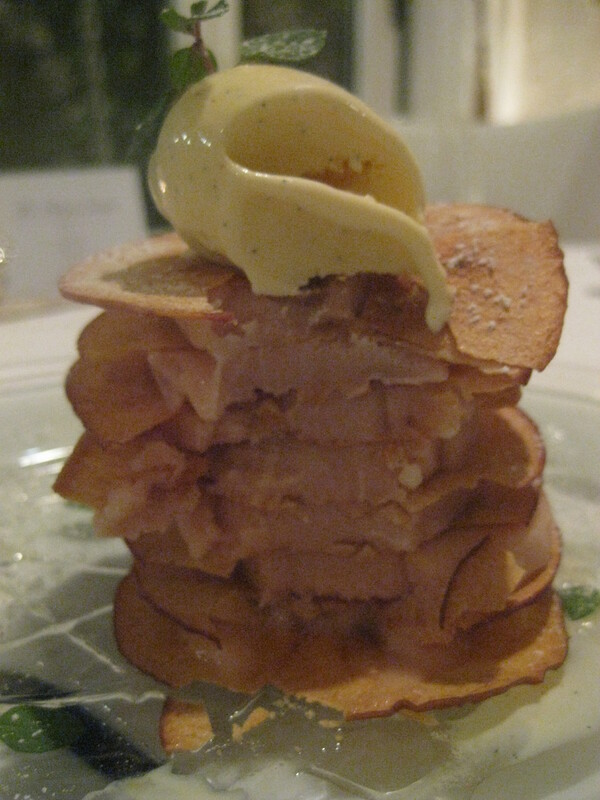 Stupid-fantastic is not a word I bandy about, but I'm going to make use of it here to describe this dish. 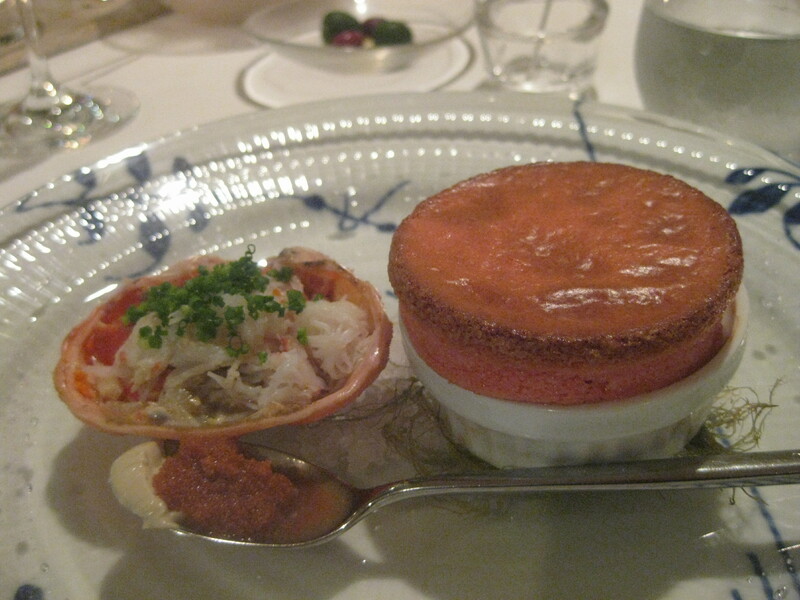 On the left, steamed snow crab On the right, a beet souffle. 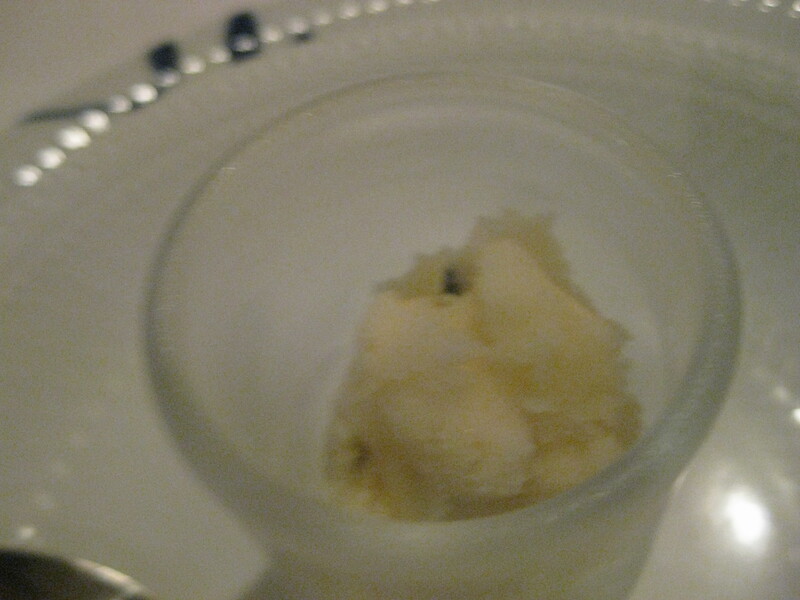 Up front, a spoonful of crab liver. Pop the souffle top, stir in the liver, and enjoy. 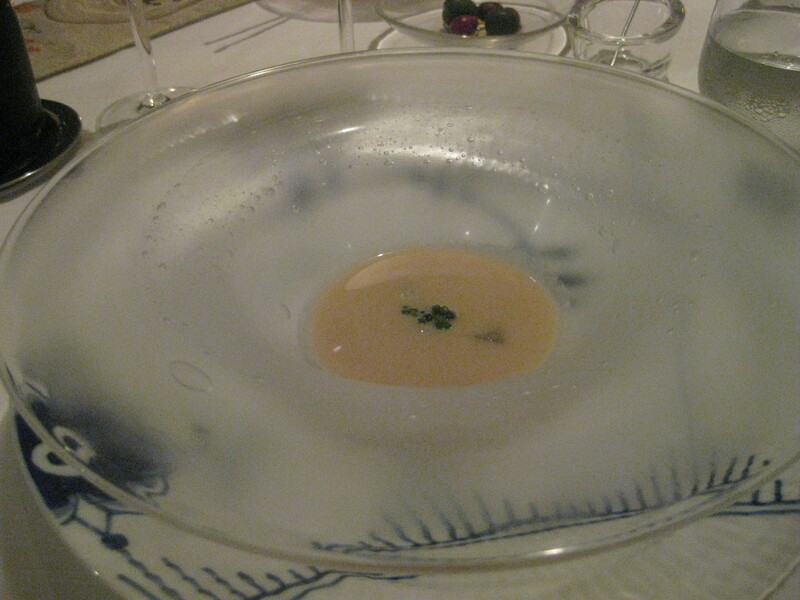 A fine cold porcini soup with abalone. I wondered what it would have been like warm. 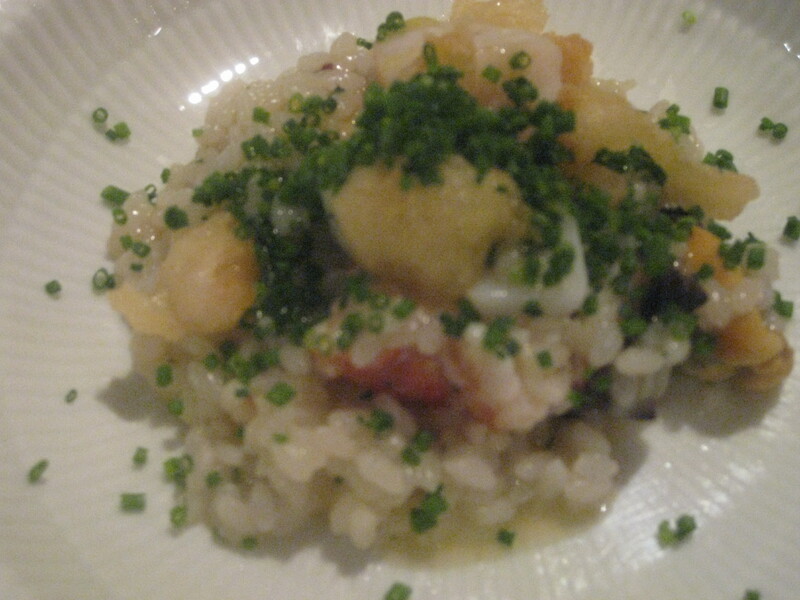 Risotto of Seafood Aroma Fresca Style. Those crispy pieces of prawn were a perfect textural compliment to the risotto. And damn tasty to boot. 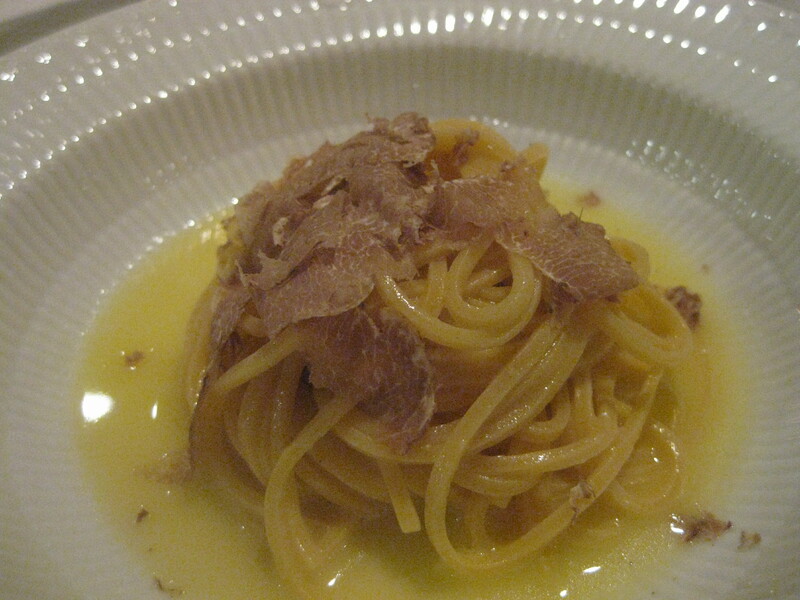 A butterlicious pasta topped with shaved white truffle. It's only been one night but I already miss this dish. 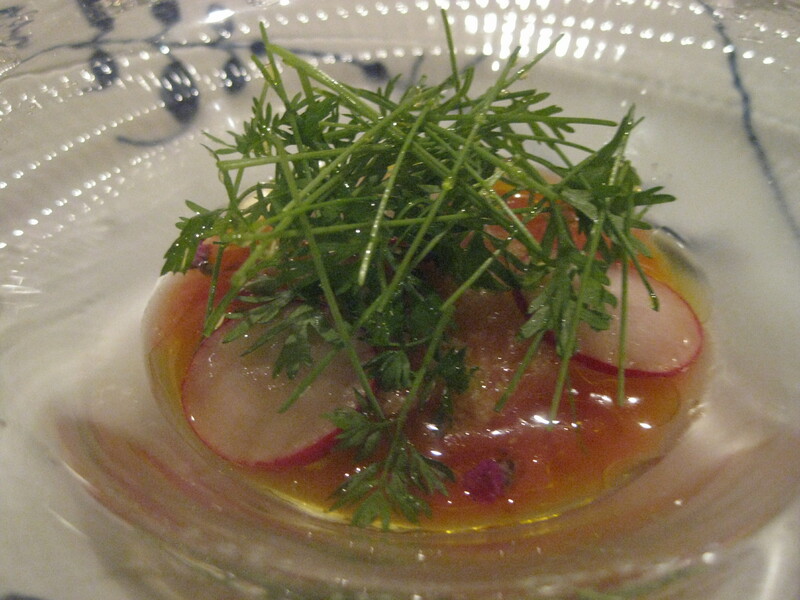 If it's one thing the Japanese do well, it's fish in all its variations. 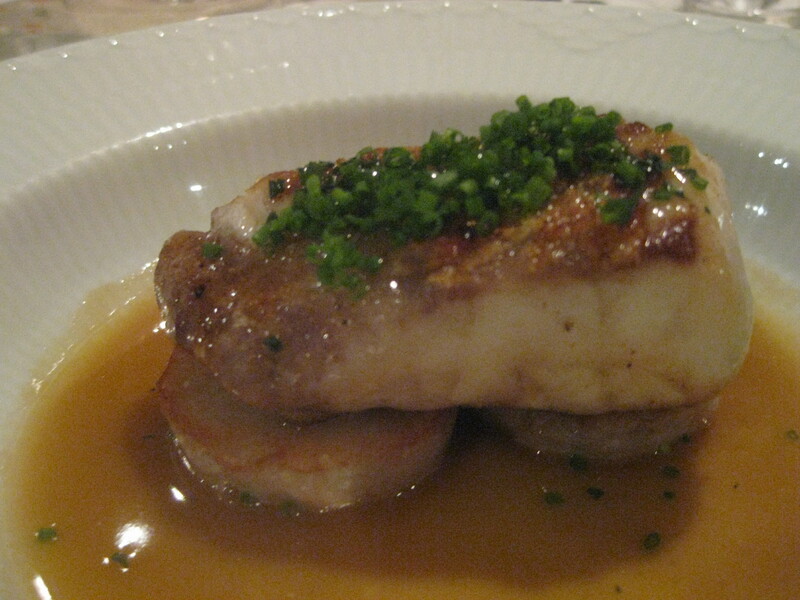 In this case, a wonderful crispy-topped, charcoal grilled rock fish sitting atop some crispy-topped potatoes. 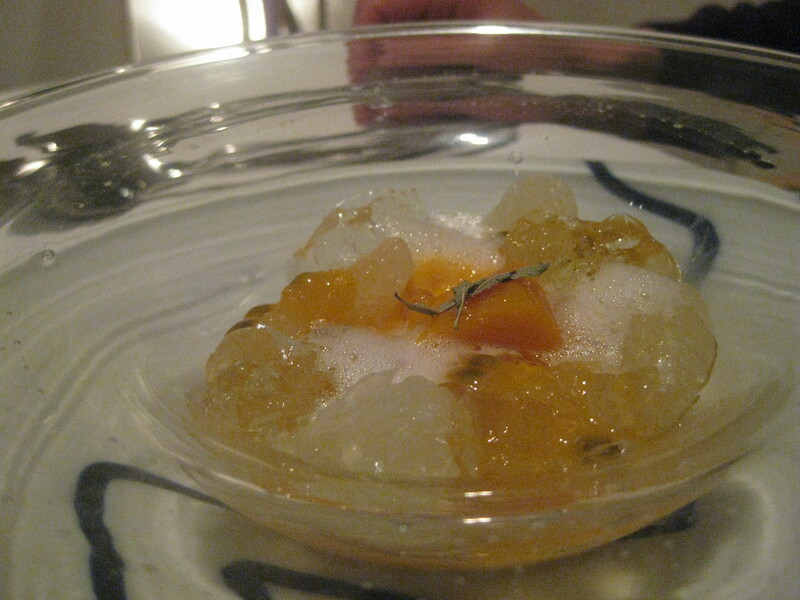 This little palate cleanser was like a kick in the head, an uber-tart mix of lemon, grapefruit, and passion fruit. 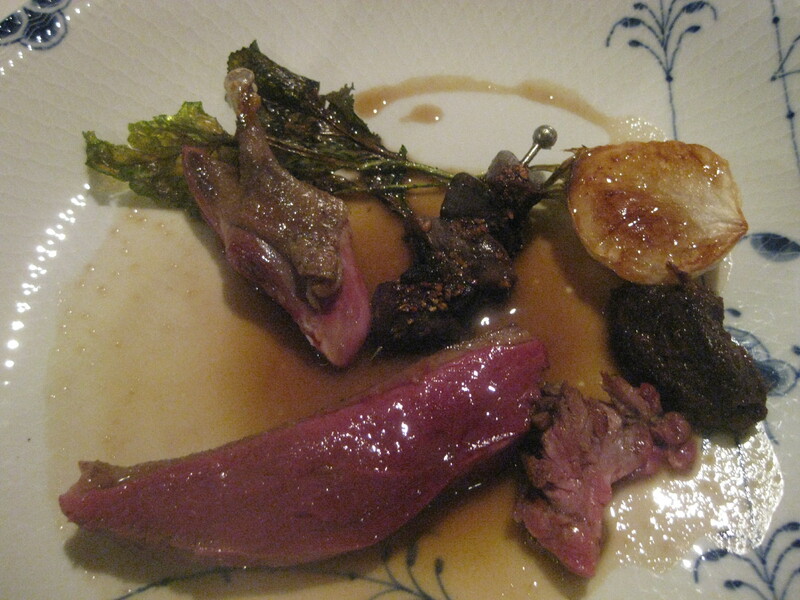 The main event, what was described as a Charcoal Scorch of Wild Duck. From 11:00 clockwise: the leg, heart, liver, neck, and breast. It was all great although, given the amount of meat on it, the leg was really more of an adornment. On the other hand, the liver was a revelation! 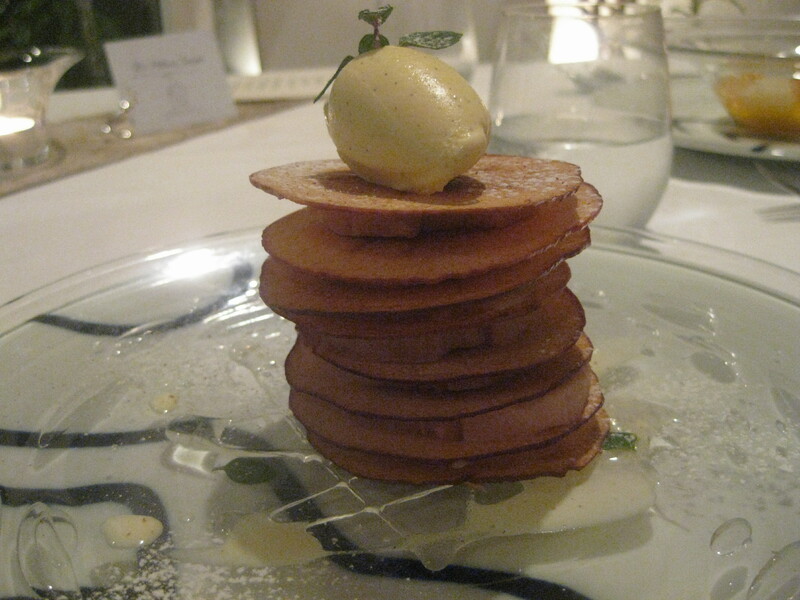 Dessert #1: the apple mille-feuille. Dessert #2: A mango and grapefruit pudding. Kay said it was fantastic. I take her word for it. Dessert #3: More my style. 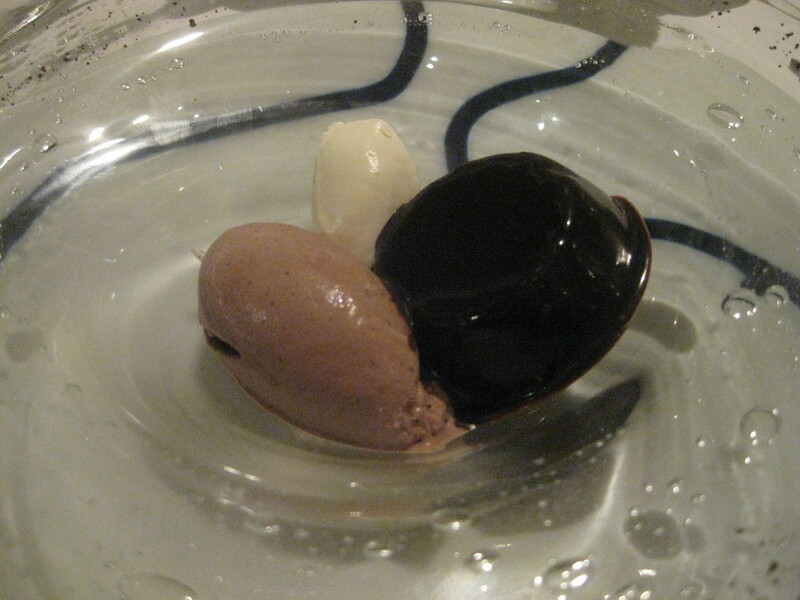 Chocolate and ice cream. 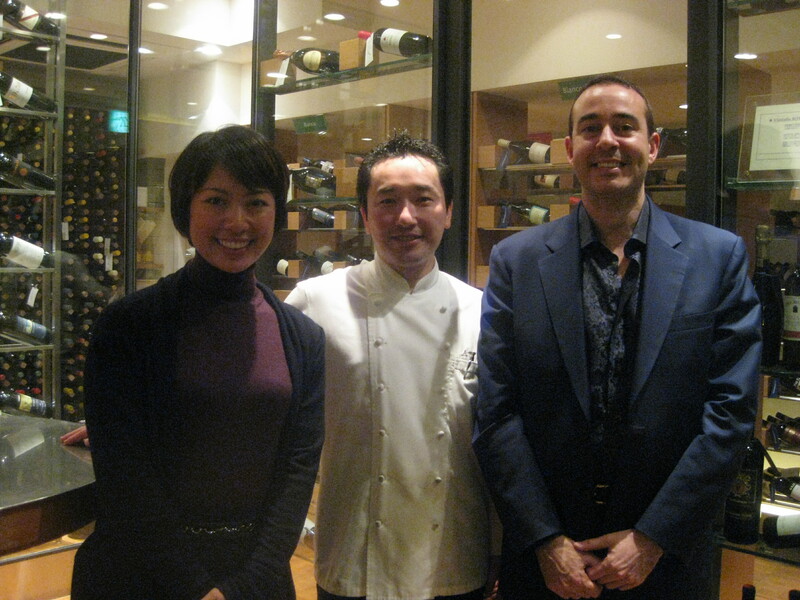 When we headed downstairs and met the maestro of the Aroma Fresca kitchen, Chef Shinji Harada. Our man Junji sees us off. Another great meal made memorable by the quality and execution of the dishes, the pleasant atmosphere, and the courteous service. 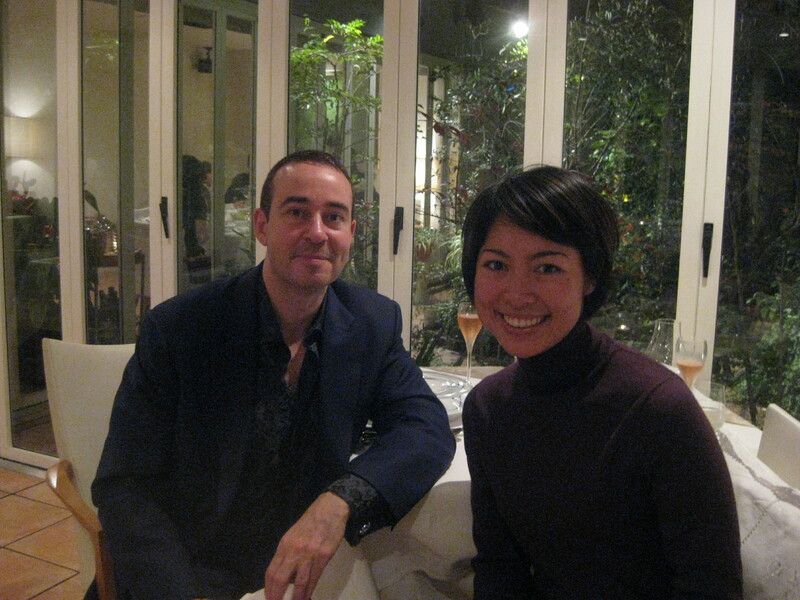 If you do go and Junji ends up waiting your table, be sure to practice your French with him.